Download paid maps on launch day. Free DLC is also coming. Nintendo has detailed download content and StreetPass features for Fire Emblem: Awakening, due for 3DS on February 4 in North America and April in Europe. Downloadable Content: Maps will be available to purchase and download starting on launch day, and others will be distributed regularly. The first downloadable map will be available for free for a limited time only and will serve as an introduction to the steady weekly stream of additional maps. The additional maps will be offered at different price points. 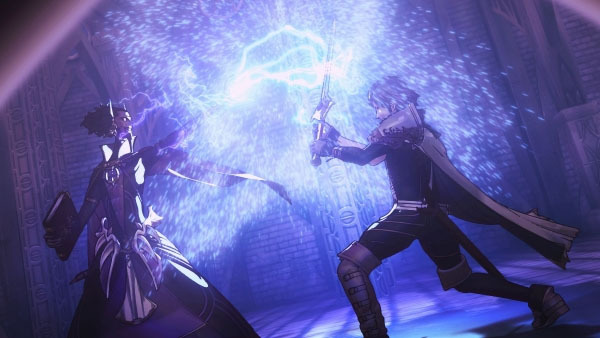 Players with a copy of Fire Emblem: Awakening and a broadband Internet connection will be able to access the downloadable content through the Outrealm Gate located on the in-game world map, which will be unlocked after the player completes the fifth mission in the main story mode. The content will include additional information about new class types, skills, playable characters, maps with new storylines and special maps that let players earn more experience points, gold or other rare items. StreetPass: Fire Emblem: Awakening players can set up a StreetPass Team and exchange certain game data with other players. The StreetPass Team is made up of 10 units from an existing team in story mode. Players can also edit team names and create custom messages for other players to see. StreetPass characters will randomly appear on the world map, giving players the option to recruit the team leader with gold, buy any weapons or items the team is carrying or battle and win to recruit the leader for free. Like the random battles in the main story mode, the player will have full control of battles in StreetPass mode. Players will also earn “renown” based on battles won. A players’ “renown” is visible to other players through StreetPass. Fire Emblem: Awakening‘s story begins in the Ylisse kingdom, where Lord Chrom, the brother of Ylisse’s Holy Ruler, leads the Shepherds, a band of soldiers who defend Ylisse’s borders from Plegian bandits. Players will create a custom avatar and play as Lord Chrom’s right-hand man. A demo will be available on the eShop on January 17.